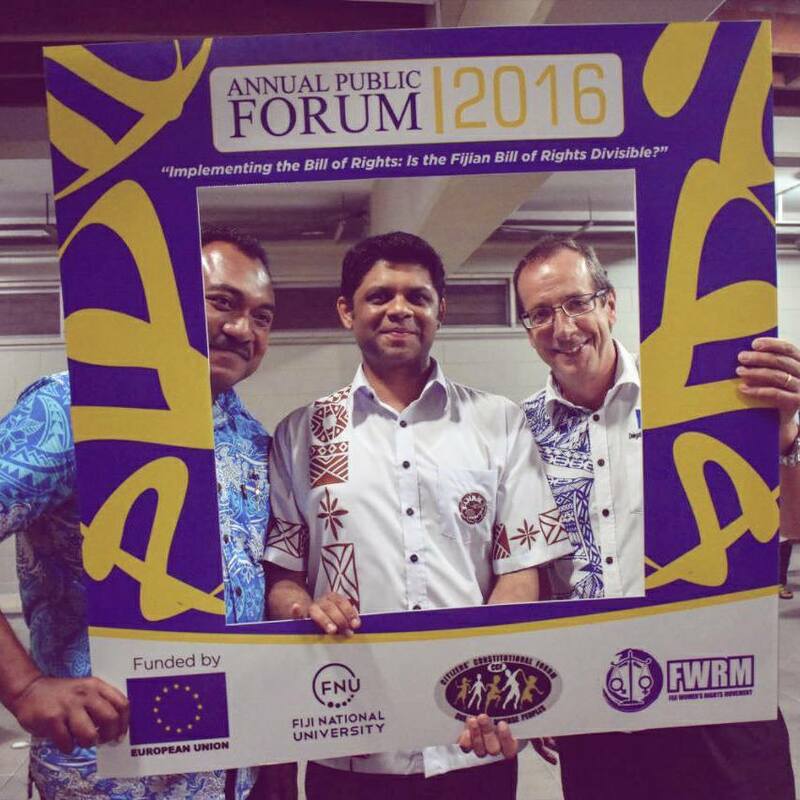 THE Fiji National University (FNU), Citizens’ Constitutional Forum (CCF) and Fiji Women’s Rights Movement (FWRM) Annual Public Forum series will provide the public an opportunity to better understand the Bill of Rights and engage in discussions. The panel discussion is funded by the European Union’s ”Fiji in Transition towards a Sustainable Democracy in Fiji” project implemented by CCF. The event will be held at the FNU Pasifika Campus in Extension Street, off Waimanu Road on 2nd December, 2016 from 6-8pm. “In a build up to Human Rights Day on December 10th, this panel discussion creates a space for people to understand their Bill of Rights and what current challenges and solutions compliment the implementation of our Bill of Rights,” said CCF’s Chief Executive Officer Bulutani Mataitawakilai. FWRM’s Acting Executive Director, Michelle Reddy said, the forum promoted women and young people’s involvement in the democratisation processes. The European Union Ambassador to Fiji and the Pacific said: ”Fiji in Transition’ project aims to strengthen civil society engagement and partnerships with institutions, to encourage active citizenship and to advocate for participatory and representative democracy. Through this project, the EU aims to facilitate dialogue between civil society and the government on civil and political rights. The panelists are: Mr Ashwin Raj, Mrs Sharon Bhagwan-Rolls, Hon, Matai Aakuola and Mr Richard Naidu. The topic of discussion this year is Human Rights and Limitations: Are the Bill of Rights Divisible?